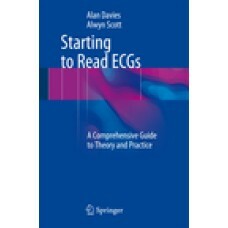 This book aims to provide the beginner with a concise, practical and systematic guide to interpreting ECGs. It will serve not only as a starter text but also as an immediate bedside reference manual. Starting to Read ECGs: The Basics begins with fundamentals such as how to perform, record and interpret a normal ECG before progressing onto more complex topics, including what effects anatomical abnormalities of the heart, cardiac and non-cardiac conditions can have on the ECG. Each chapter has been supplemented with a multitude of images and diagrams to illustrate points and ease understanding, and concludes with both a summary of key points to reinforce knowledge and a quiz for reflective learning. 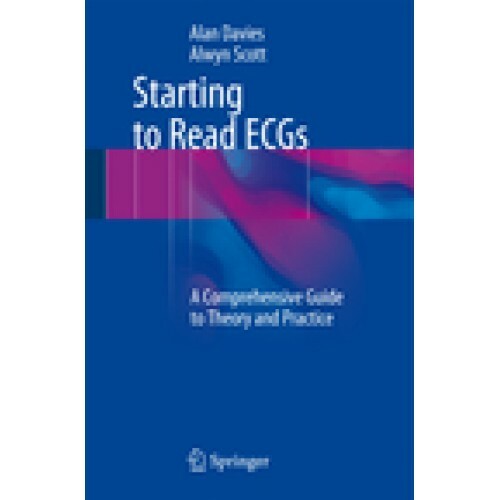 Starting to Read ECGs: The Basics is an updated version of that previously published by CriticAir and an essential resource for medical students, junior doctors, nurses, paramedics and other health care professionals involved in the recording and interpretation of ECGs who wish to build their knowledge and confidence. Chapter 1: How to record a 12-lead ECG.- Physiology.- What is an ECG.- Patient positioning.- Electrode placement.- Attaching the cables.- The machine.- What to write on the ECG.- Summary of key points.- Quiz.- Chapter 2: ECG basics.- How does the 12-lead ECG work?.- ECG paper.- Details found on a standard 12-lead ECG.- 12-lead ECG leads.- The PQRST waveform.- Deflection.- Summary of key points.- Quiz.- Chapter 3: Quality issues pertaining to ECG recording.- Background.- Leads.- Calibration markers.- ECG Documentation.- Summary of key points.- Quiz.- Chapter 4: Principles of ECG analysis.- Background.- Basic quality control checks.- The rate.- The rhythm.- The P wave.- The PR interval.- The QRS complex.- The ST segment.- The T wave.- The QT interval.- Electrical axis.- Additional features.- The normal ECG and normal variants.- Summary of key points.- Quiz.- Chapter 5: Chamber abnormalities.- Physiology.- Atrial abnormality.- Ventricular abnormality.- Normal variants.- Summary of key points.- Quiz.- Chapter 6: Arrhythmias.- Background.- Ectopic beats.- Atrial arrhythmias.- Junctional arrhythmias.- Ventricular Arrhythmias.- Summary of key points.- Quiz.- Chapter 7: Conduction delay.- Background.- Bundle Branch Blocks.- Atrioventricular Blocks (AV Blocks).- Sinoatrial blocks (SA blocks).- Sick Sinus Syndrome (SSS).- Summary of key points.- Quiz.- Chapter 8: Miscellaneous cardiac conditions.- Background.- Paced rhythms.- Types of permanent pacemaker (PPM).- ECG identification of Pacemakers.- Pericarditis.- Long QT syndromes.- Summary of key points.- Quiz.- Chapter 9: Non cardiac conditions identifiable on the ECG.- Background.- Electrolyte imbalances.- Hypothermia.- Digoxin use.- Pulmonary Embolism (PE).- Summary of key points.- Quiz.- Chapter 10: Acute Coronary Syndromes.- Background.- Atherosclerosis.- Modifiable and non-modifiable risk factors for CHD.- Angina.- Acute Coronary Syndromes (ACS).- Evolution of STEMI.- Left Bundle Branch Block (LBBB) and chest pain.- Summary of key points.- Quiz.